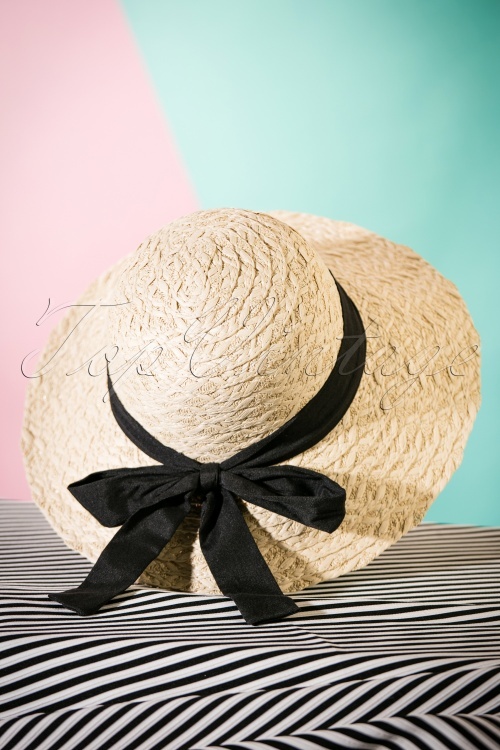 Protect yourself against the sun this summer, in vintage style of course... with this 50s Penelope Bow Hat! This hat is very suitable when you're having a bad hair day, but it's main function is protecting you against the sun. Made from stunning paper straw in a firm quality with a wide band, finished off with a black trim and a bow. 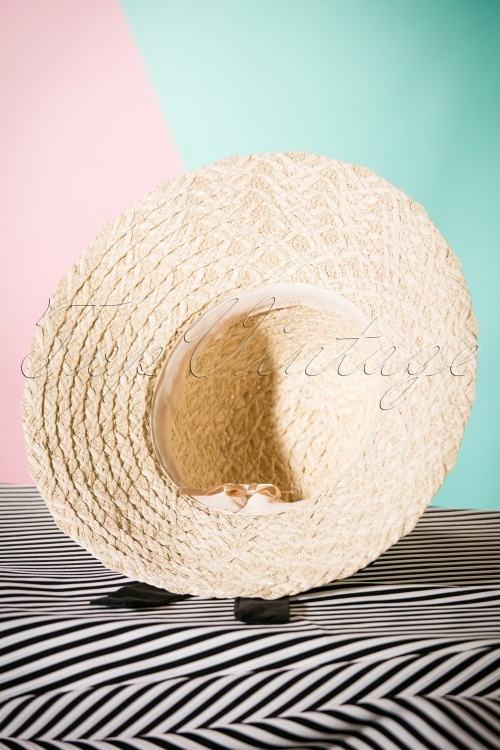 This hat features an adjustable ribbon on the inside so you can wear her a little tighter and it won't blow away during an upcoming summerbreeze ;-) On a lovely summerday, what should you not forget?... this sassy summer hat! Makkelijk aan te passen aan de omvang van je hoofd! Ik ga hier heel veel plezier van krijgen deze zomer.